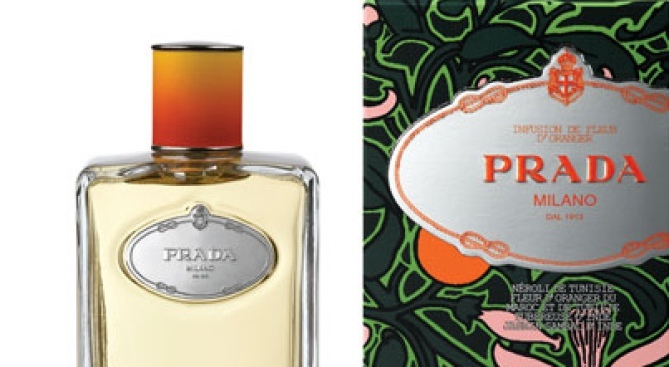 PRADA's new Infusion de Fleur d'Oranger. SPRING FRESH: We're not usually one for fragrances whose selling point is citrus, but the new Infusion de Fleur d'Oranger from PRADA is less Orange Julius, more essence of summer in a bottle. Apparently, we have tuberose, orange blossom, and jasmine to thank for that. (The art deco packaging is nice, too.) Pick it up at Bergdorf's. NICE CABANA: It may be called the Resort Collection, but we'll happily wear 3.1 phillip lim's gorgeously floaty pieces to the bagel place on the corner. They're 40% off right now at the label's Mercer Street HQ. 115 Mercer Street, (212) 334-1160, Mon.-Sat 11AM-7PM; Sun. 12-6PM. LOOM WITH A VIEW: You know those T-shirts everyone's doing now, printed with delicate line drawings of birds and deer? Loomstate pretty much started that, and their designs still rule. Snap up items from the Loomstate collection for Target while you can (because pretty soon, you'll be back to paying $120 for their stuff at Barneys).